Use the discount code 'STAYANGRY' for $10 off your ticket. San Diegoooooo! 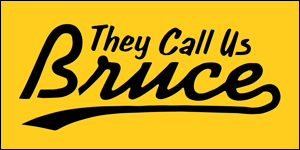 Get yourself ready for some laughs. 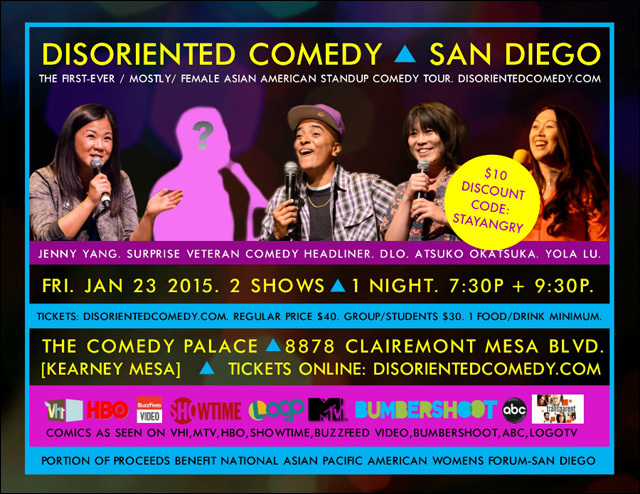 Disoriented Comedy, the first ever all female (sorta) all Asian American standup comedy show tour is coming to San Diego. Two shows, one night, featuring Jenny Yang, D'Lo, Atsuko Okatsuka, Yola Lu and a surprise veteran comedy headliner that you do not want to miss. It's happening Friday, January 23 at The Comedy Palace in Kearney Mesa. Disoriented Comedy comes to San Diego! Two shows in one night. This is going to be a kickass show. You do not want to miss it. So who wants discounted tickets? 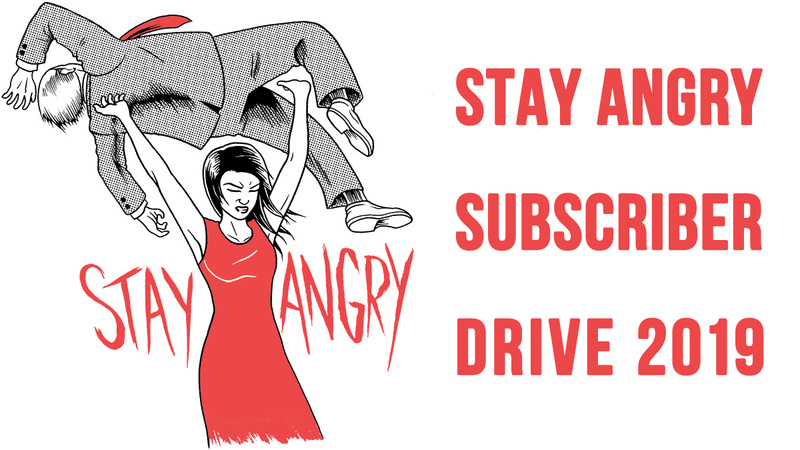 Use the discount code STAYANGRY to get $10 off your ticket. A portion of proceeds will benefit the National Asian Pacific American Women's Forum - San Diego.